How to draw Ryoga from Ranma 1/2. Ryoga stands out in the crowd due to his regularly rough appearance. His usual outfit consists of his trademark yellow and black speckled bandana (and an unknown number underneath the visible one) around his head, a yellow jumper, black trousers with yellow leg bands around the ankes and a black sash-like belt. He is sometimes shown wearing a blue T-shirt instead of his jumper. His hair, particularly the front fringe, is quite long, obscuring his bandana at the front. He also quite often carries around a black backpack and a red bamboo umbrella either tucked into straps on top of his backpack or in his hand. 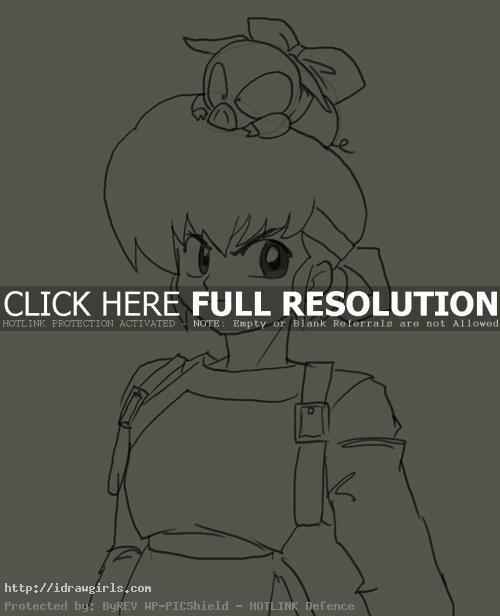 In this tutorial you will learn to draw a Ryoga, one of Ranma’s nemesis. I will show you step by step drawing his face and partial body. The Manga is one of my childhood’s favorite Manga series. I am trying to get the drawing as close to the original work as possible. This fan art/ tutorial was done as a tribute to the series and creator, Rumiko Takahashi. I hope you guys will learn some drawing tips and technique from the tutorial. The pathalogically misdirected Ryoga has fists of steel and a heart of glass. Ryoga has been Ranma’s rival since junior high, when he challenged Ranma to a fight in the vacant lot behind Ryoga’s house. But by the time Ryoga found his way there after a four-day journey all over Japan, Ranma had gone off with his father on a training expedition. To avenge the grudge, he followed Ranma to China, eventually blundering his way to a desolate mountain range. There a pigtailed girl chasing a panda knocked him off a cliff and into Heituenniichuan, where a black pig drowned 1200 years ago. A panda rescued the little black pig…only to deliver him to the Chinese guide for dinner. Fortunately, the guide dropped him into a wok of boiling water. 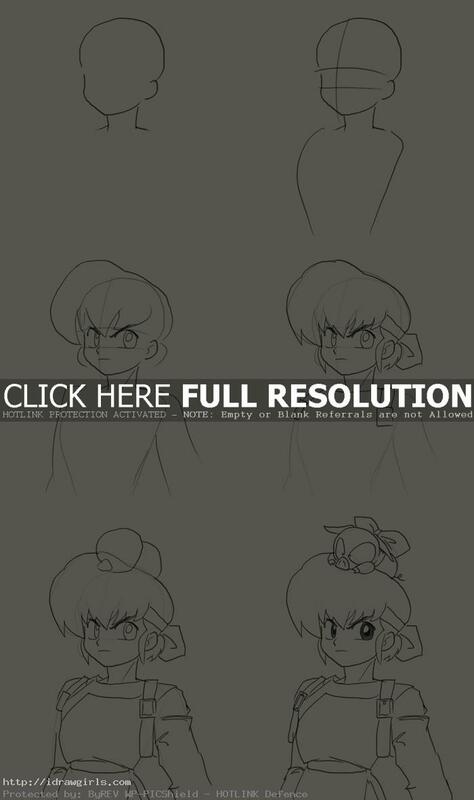 Below are step by step how to draw Ryoga from Ranma 1/2. More Manga drawing tutorials with drawing videos. -How to draw Anime girl sitting pose.